Miranda Green » ‘Bulworth’? Really? The barely remembered 1998 film about a senator who decides to tell it like it is apparently is President Obama’s inspiration for his second term. It’s not exactly President Bartlett, but Miranda Green can see Obama’s point. The New York Times reported Wednesday that Obama often wistfully tells confidants he wishes he could “go Bulworth”—a reference to a forgotten 1998 film starring Warren Beatty as a fictional U.S. senator who decides to forgo the typical banalities of a reelection campaign in favor of cocaine-fueled rapping and speeches about socialism. For those who don’t remember the film, here’s a quick synopsis: facing an uphill battle for reelection, Senator Bulworth arranges his own assassination, but decides to go out with a bang and forgo his talking points to tell the truth for the two days until his death. During his brief rebirth as a new breed of politician, he goes off-the-cuff at planned campaign speeches, gallivants at a nightclub, gives a spur-of-the-moment rap during a donor dinner, and tries out some of L.A.’s finest cocaine—all while becoming romantically involved in an extramarital affair with Nina, played by Halle Berry. 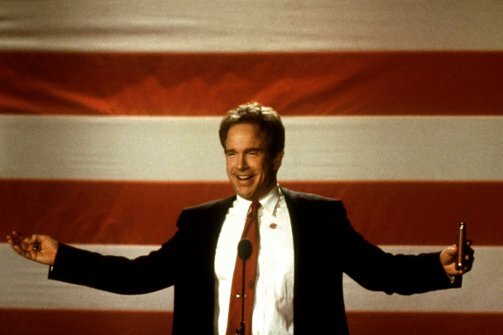 Bulworth makes one last attempt of being the politician he set out to be by “telling it like it is” and ironically succeeds at gaining more public support by not caring what anybody thinks of him. It’s not exactly an on-message metaphor from a president whose enemies imagine he is some version of a Bulworth incarnate. There’s a stark divide between buttoned-up, teleprompter-friendly President Obama and wild and desperate Bulworth. Bulworth makes one last attempt of being the politician he set out to be by “telling it like it is” and ironically succeeds at gaining more public support by not caring what anybody thinks of him. Given the struggles of President Obama’s second term—plagued by congressional stalemates and administrative scandals—perhaps we shouldn’t be surprised that he occasionally fantasizes that he were more like the fictional senator.